Over the weekend The New York Times released an article reporting that Apple is legally evading billions of dollars in taxes worldwide through various completely legal methods. The article seemingly raised some red flags for a few, who feel while its legal, its unethical for multibillion dollar companies to dodge what they see as a responsibility to the people. Today, Apple looks to settle those claims, citing it has been playing by the rules all along and pays an "enormous" amount of taxes. Over the past several years, we have created an incredible number of jobs in the United States. The vast majority of our global work force remains in the U.S., with more than 47,000 full-time employees in all 50 states. By focusing on innovation, we’ve created entirely new products and industries, and more than 500,000 jobs for U.S. workers — from the people who create components for our products to the people who deliver them to our customers. Apple’s international growth is creating jobs domestically since we oversee most of our operations from California. We manufacture parts in the U.S. and export them around the world, and U.S. developers create apps that we sell in over 100 countries. As a result, Apple has been among the top creators of American jobs in the past few years. Apple has conducted all of its business with the highest of ethical standards, complying with applicable laws and accounting rules. We are incredibly proud of all of Apple’s contributions. Apple isn't the first multibillion dollar company to come under fire for using legal loop-holes in local tax laws to effectively avoid paying what many would see as their fair share in taxes. They are just the latest, and likely most highly visible and profitable. GE, Microsoft and several others are just as guilty. So what makes Apple different? Nothing really, other than the fact that they are sitting on billions in cash while the economies in the states and countries they are avoiding taxes on are struggling. According to The New York Times article Apple has effectively managed to dodge billions of dollars in taxes in several countries all around the world. Last year, the tech giant reportedly paid $3.3 billion in taxes around the globe on its 2011 profits of $34.2 billion at a tax rate of 9.8 percent. Approximately 70 percent, or $24 billion, of the total $34.2 billion in pretax profits was earned outside of the country while 30 percent was earned in the United States. In one instance alone, Apple who's headquarters are in Cupertino, Calif. saved millions of dollars by putting an office in Reno, just 200 miles away. The office, maned by a skeleton crew, is used to collect and invest the company’s profits, allowing Apple sit sidestep California's state income tax of 8.84% to pay virtually zero taxes in Nevada on some of those gains. This is just one way Apple is saving millions in the US. Setting up the subsidiary called Braeburn Capital as well as setting up other companies in states without taxes on the selling of digital content allows Apple to further shave their tax costs. As it has in Nevada, Apple has also created subsidiaries in low-tax places like Ireland, the Netherlands, Luxembourg and the British Virgin Islands — some little more than a letterbox or an anonymous office — that help cut the taxes it pays around the world. Earlier this month, it was discovered that Apple made $9.5 billion in Britain last year, but only paid $15.8 million in taxes. This figure was attributed to the fact that British tax code rules exempt companies based in Ireland from paying British taxes. It was discovered at the time that Apple had setup a similarly small office in Ireland to funnel their profits through. Just because its legal doesn't make it right! Almost every major corporation tries to minimize its taxes, it would be bad business if they didn't and of course these moves are perfectly legal. Apple, for one makes an easy target. What with their billions in the bank and recent questions regarding working conditions and pay in some of their component manufactures plants. The question for me doesn't become one of legality but of morals and ethics. Apple has always lauded their corporate headquarters and their support for Silicon Valley yet they want to avoid supporting the very state that they cut their teeth in? They want to proclaim the creation of jobs yet by their own numbers they only directly employee 77,000 people. Apple's mantra for years and years was support us because we are the little guy fighting the power of the big corporations and "big brother". Now they have once again shown us how far they've veered off that path. Popular security vendor Avast has announced the release of its popular antimalware and security software for Mac OS X, the best part, its free! On the heels of the widespread infection from the highly publicized Flashback Trojan many Mac users have begun looking for antimalware and security software for their Macs. Until now there has been a relatively small market for such software leaving users with very few alternatives and even fewer free options. Looking to branch out in the market Avast has released the new avast! Free Antivirus for Mac. The new avast! Free Antivirus for Mac is a full-fledged security app; shielding users from incoming malware, sending and receiving infected files, and scanning computers for threats. It is completely free for all users – home consumers and businesses. avast! Free Antivirus for Mac is based on the new avast! 7 antivirus engine avast! that is already used by over 150 million active Windows users. The new app provides Mac users with a full fledged security suite offering multiple levels of protection. You'll see direct email scanning and direct system scans. There is also built web based protections using WebRep, an anti-phishing/web reputation plugin that combines user-submitted comments with Virus Lab detection and blocking of phishing sites. If you want to check it out you can download it at avast.com. If you try it out lest us know what you think in the comments section below. Earlier today Apple announced the dates for its annual Worldwide Developers Conference (WWDC), June 11-15 in San Francisco, however would be attendees that didn't act fast have already missed out as Apple has confirmed the event sold out in just under two hours. The WWDC is one of Apple's main events featuring topics ranging from new products to workshops meant to aid developers. Apple says that this year's WWDC will focus on both iOS and the upcoming update to OS X Mountain Lion. The event is also slated to have more than 100 technical sessions led by Apple engineers, along with the annual Apple Design Awards. More than 1,000 Apple engineers will be on hand, offering code-level assistance and other advice on developing for the Mac, iPhone, and iPad. Given Apple success and the popularity of the platform the quick sell-out is hardly a shock: A year ago, the $1599 WWDC tickets sold out in under 12 hours. With Apple's recent successes the event is even hotter than before. As with previous years ticket purchasers needed to be members of the iOS Developer Program, iOS Developer Enterprise Program, or Mac Developer Program. The fact that they sold out so quickly shows just how many developers are out there working on Apple related projects at this time. Google Drive vs. The Competition Which It Right For You? With the launch of Google Drive users may find themselves asking if its worth it to change from their current cloud based storage service or new users might find themselves asking which is the best option for them. So to help you decide we've done a quick break down on some of the top services to show you have each stacks up. Total Disk Space: SkyDrive currently offers the most free storage at 7GB, and users who signed up before April 22 and install the new app will 25GBs free for a limited time. Monthly Cost: For users that want more than just the free offering cost is important and Google Drive undercuts all of its competitors on monthly pricing, but Microsoft's Skydrive--which doesn't offer monthly pricing-- is cheaper on an annual basis. File Size Limits: If you upload large files this is an important factor. Google Drive limits files to 10GBs which is more than most users would need and more generous than other services. Google Drive is the new kid to the block, joining Microsoft's SkyDrive, Apple's new iCloud and stand alone services like DropBox. There are of course several other options out there, these however are just some of the most popular. So which one will be best suited for you and your needs. To answer that question we've looked at a few things we want most from our cloud storage service. Compatibility, price and features. In terms of overall compatibility Dropbox is by far one of the best options. The company was one of the earliest players in the cloud storage game which gives them a major competitive edge. Dropbox has the advantage of being compatible with almost every platform and is already available in several apps and services. Downsides: The first major downside is that you start with only 2GB free, less than any other service we cover today. You can add more by referring friends to the service or paying, but it's still a poor way to start out. Second is the file size limit. Dropbox Files uploaded through the website (by pressing the upload button) have a 300 MB cap. In other words, each file you upload through the website must be 300 MB or less. This could hamper many users. For most home users we are going to go with the free options. For the most part this will give us the most bang for the buck (it is free after all). If raw space is all you want Microsoft SkyDrive with it's 7GB free and the backing of Microsoft make it the overall best option. If you are already a user you can upgrade to the additional space and get 25GBs free making it even more attractive. Of course, raw space isn't everything SkyDrive offers. You'll have the option of sharing an entire computer, Microsoft Office integration and of course Hotmail integration. Downsides: Microsoft SkyDrive sounds like its might be the best bang for your buck but it does have some draw backs. For starters if you are a new user you are limited to 7GB free maximum. Currently there is no Android app, and other mobile apps look lackluster. We don't see nearly the same integration we see in DropBox. Best Bang For The Buck: Our vote here has to go to Google Drive. You get more overall free space, more integration into things we use now like Google Docs and you have browser-based viewing and editing of several different file types. Another plus is you can share huge files, which means you can add some large presentations, video clips Mp3's ect. Users wanting to step up from a free service and still get the best, or most out of their dollar have to ask themselves two questions. One how much space am I going to need and two realistically how am I going to use the service. For the absolute best pricing SkyDrive offers the best deal. You have the option of 20GBs for $10/yr or 100GB of space for $50/yr. Both options are a fair bit less than it would run you on Google Drive and considerably less than you'd pay for DropBox. Google does offer an additional 25GBs of Gmail storage with any purchase but who really uses that? Downsides: Again, the best price for the raw space might not be the best option. If you are hosting files for a business and need a service that supports multiple devices Google Drive is going to be the better overall price of the three but DropBox might be the best overall for functionality. You may have noticed we've barely mentioned Apple's cloud based service and that is for good reason. Apple's service is strictly for Apple customers with iDevices. So we really can't make a competitive comparison to other services that are open to all customers. If you are a current Apple user and you need a cloud service it's a great deal. Your music and media are available anywhere on any of your iDevices or linked iTunes account and neither count toward the 5GB of space Apple gives you for free. The service is nicely integrated with OS X and iOS devices, as well, so it's kind of a no-brainer if you like Apple's other i-programs you should be using iCloud. So, which service is the one to choose? To be honest there’s no one-size fits all solution here. For the most part I suggest trying them all and finding the one that best fits your needs. Something we might like about one service is something others might hate. For instance they all have varying interfaces that you might not find easy to use while we love. Google has officially taken the wraps off Google Drive, the company's new cloud based storage bin of sorts where you can create, share, collaborate, or just store your files, including videos, photos, Google Docs, PDFs and more. To get users started Google is offering 5GB of storage for free. This should be enough to store plenty of high-res photos or tons of PDFs. If you need more storage you can choose to upgrade to 25GB for $2.49/month, 100GB for $4.99/month or even 1TB for $49.99/month. When you upgrade to a paid account, your Gmail account storage will also expand to 25GB. According to Google "This is just the beginning for Google Drive; there’s a lot more to come." Don't have plans this weekend? Well now you do. Blizzard has announced that they are releasing Diablo 3 this weekend as an open beta for all you gamers to test out. To participate in the Diablo III open beta weekend, you will need a valid Battle.net account and a BattleTag, both of which are freebies as well. You can begin downloading the Diablo III client right now!If you don't have a Battle.net account just visit http://www.battle.net to set one up then visit this page to setup your BattleTag. If you are an Apple Mac OSX and MobileMe user that for some reason hasn't made the move and upgraded to Snow Leopard yet you are in luck. Apple is offering you a chance to do so for free. Later this year Apple will be shutting down MobileMe, their subscription-based set of online services, in favor of their newly announced cloud offering iCloud. Since iCloud is only supported in Mac OSX Snow Leopard and the soon to be released Mountain Lion Apple is offering all current MobileMe subscribers a free hard copy of Snow Leopard. The move appears to be a good faith offering in the hopes that Apple will keep their loyal fans and move them along the upgrade path. Most likely hoping they will upgrade all the way to Mountain Lion once it has been officially released. You can request a free Snow Leopard DVD at me.com. On Tuesday Twitter introduced the Innovator’s Patent Agreement an initiative proclaiming the company won't use Intellectual Property (IP) obtained from it's employees to entire into the patent wars that many tech giants are waging today. In brief the Innovator’s Patent Agreement, (draft of which was released on GitHub), will allow inventors working with Twitter, or on Twitter projects to retain control of their inventions and their IP rights. It even applies retroactively to patents the company has already filed and still gives designers and engineers ultimate power even after they leave Twitter. With the IPA Twitter asserts it will not use the patents from employees’ inventions, or those previously acquired in offensive litigation without their permission and would only use those IP patents for defensive purposes. Does It Really Mean Twitter Is Staying Out Of The Patent Wars? At present it seems as though almost every major tech company is fighting a legal battle over IP and patents. Apple us suing just about everyone, Facebook and Yahoo are battling it out, Microsoft is always fighting a fight somewhere and Google, well they are just the new whipping post on the block. From the post Twitter may seemingly be saying we are staying out of the patent battles. But are they? Lets take a closer look at the break down of what's behind the Innovator’s Patent Agreement. First off, what does “Defensive” really mean? Well at first glance one would say Twitter would only use their IP collection if another company aggressively sues them. That may be, however in this case (and most others) what is defensive and what is in the IPA is incredibly broad and allows for Twitter to interpret almost anything as a defensive use. Note paragraph "C". "To deter a patent litigation threat," this can be openly interpreted to mean they could offensively sue a company they think may be proposing action against them. That hardly seems defensive! Secondly, "We will not use the patents from employees' inventions in offensive litigation without their permission." If Assignee needs to assert any of the Patent claims against any entity for other than a Defensive Purpose, Assignees must obtain prior written permission from all of the Inventors without additional consideration or threat. An “Entity” includes any related entities, where the entities are related by either ownership, control, financial interest, or common purpose. Clearly this leaves the door open for active offensive maneuvering. Twitter is simply stating they, with the blessing of the IP holder, can sue any company they feel is infringing upon their intellectual property just that they must seek approval of the IP holder before doing so. This hardly put them in the position of sitting on the side lines, after all what inventor isn't going to want to protect their invention and their IP. Especially with the monetary concerns involved these day. So while we applaud Twitter for what they are doing, and actually hope they are trying to set a tone that others may follow. I feel as though in the end this may be nothing more than empty gesture. As we reported last week ASUS has begun offering up a free external GPS dongle to Transformer Prime owners experiencing poor internal GPS performance. ASUS's online ordering page for the GPS dongle is now live giving all customers that have purchased one of the popular Android based tablets a chance to order their dongle. The offer is valid from now until July 31st. Thank you for purchasing the ASUS Eee Pad Transformer Prime, and helping to make it the most popular Android based tablet since its launch in December 2011. We greatly appreciate feedback about our products from you, and we take this feedback very seriously. The response to the Transformer Prime generally has been overwhelmingly positive, but we understand that, in certain situations, the GPS functionality has not met some users’ expectations. Although the Transformer Prime is not a professional GPS device, as part of our unwavering commitment to customers we are offering all Transformer Prime owners a free external GPS extension kit, called a dongle, which may help improve signal reception and optimize the user experience. We are pleased to announce this offer as part of our commitment to customer service, but it does not replace, alter or amend any existing warranties you may have. For more detailed information about this offer, please click on the link below. We also encourage you to contact your local ASUS customer support hotline directly if you are experiencing GPS related problems. Singing up for your free dongle looks relatively easy. You'll either need to have already joined the ASUS Membership program or signup to join. After successfully singing up and activating the ASUS Member account you'll need to proceed with Product Registration which requires you to entire your Transformer Prime (TF201's) Serial number, approx. purchase date and some personal information like name, address ect (for shipping). Microsoft has announced the new product SKU's and lineup for the latest addition of the Windows operating system. For consumers Windows 8 will feature three different version: Windows 8, Windows 8 Pro and Windows RT for for ARM based processors. As with previous versions customers will have the option of either 32 bit or 64 bit, although we suspect most user will want the 64 bit version. Additionally Microsoft will release an enterprise edition, Windows 8 Enterprise (of course), for volume license customers; and finally, some number of local-language-only versions for China and other selected emerging markets. Windows 8 is positioned as the replacement for Windows 7 Basic and Home Premium. Windows 8 Pro is viewed as the replacement for Windows 7 Professional and Ultimate. Windows RT will be exclusively available as a pre-install on ARM hardware, with no direct retail availability. Windows 8 will be the mainstream consumer edition meant for the everyday user. The Pro version will add a number of features that most consumers don’t necessarily need however some of us power users might like. These include encryption, virtualization, PC management and domain connectivity. Either version will upgrade from Windows 7 Starter, Home Basic or Home Premium however to upgrade to the pro version you'll need have previously installed Windows 7 Professional or Ultimate. You can find a full feature comparison on the Windows blog. Microsoft has not yet shared any details about a possible release date or the pricing of these editions. Following last week's leak of advertisements on a Origin.com product page EA has confirmed a 2013 release for the third installment of the company's sci-fi shooter series Crysis. Crysis 3 will be set in a futuristic version of New York City in 2047. The returning character Prophet has discovered New York sealed inside a dome by the nefarious Cell Corporation. Under New York's Liberty Dome, the city has become an "urban rainforest teeming with overgrown trees, dense swamplands and raging rivers," according to EA, and is split into seven distinct and treacherous environments known as the Seven Wonders. In addition to the new setting the game will feature a new weapon in the form of a lethal composite bow, an enhanced nanosuit, and alien weaponry to hunt both human and alien enemies. The game also features the return of "Adaptive Warfare" with more open levels to let you choose your path and approach. Crysis 3 Hunter Edition will be released for the Xbox 360, PS3, and PC and is immediately available for pre-orders for $60. The pre-order includes a bonus XP boost up to level five, a unique bow skin, and three exclusive dog tags. Select retailers will also offer pre-order bonuses in the shape of early multiplayer unlocks. The Stalker Pack makes the semi-auto Jackal shotgun available earlier; the Overkill Pack gives early access to the Typhoon assault weapon; and the Predator Pack unlocks the Feline submachine gun. For more details checkout EA's official Crysis 3 site. Western Digital has announced it the company is now shipping a new larger WD VelociRaptor 10,000 RPM hard drive. The new drive will feature a 1 TB capacity, or almost double that of the WD VelociRaptors on the market. The WD VelociRaptor 2.5-inch hard drive comes in the IcePack(TM) enclosure, a 3.5-inch mounting frame with built-in heat sink - a factory customization that fits the drive into a standard 3.5-inch system bay and keeps the powerful drive extra cool when installed in a high-performance desktop or workstation system. WD VelociRaptor hard drives are available now at select distributors, resellers and e-tailers, and come with a five-year limited warranty. Manufacturer's Suggested Retail Price (MSRP) for the WD VelociRaptor 1 TB (model #: WD1000DHTZ) is $319.99 USD, the 500 GB version (model #: WD5000HHTZ) is $209.99 USD and the 250 GB version (model #: WD2500HHTZ) is $159.99 USD. More information about WD VelociRaptor hard drives including terms of the limited warranty may be found on the company website at http://www.wdc.com/en/products/products.aspx?id=20. While Electronic Arts and Crytek haven't officially confirmed the existence of Crysis 3, the recent leak of a banner ad may have let the cat out of the bag early. Thanks to the quick actions of a NeoGAF user, who took a screenshot and posted it online for all Crysis fans to see, gamers have possible confirmation that EA and Crytek are close to a release of the third edition of the popular Crysis gaming series. The ad was part of EA's Origin service, which made a brief slip-up which revealed the game ahead of schedule. Product listings for PlayStation 3, Xbox 360, and PC "Limited Edition" releases appeared briefly, along with a logo image featuring a NanoSuit-clad, bow-wielding character. According to G4TV EA has announced that they'll share more information on Crysis 3 on Monday, April 16. "The best kept secret in shooters just can't be contained. Stay tuned for more information on April 16." reads a line from the EA statement. So far details are limited but rumors suggest that the game will take place in a destroyed New York which has almost become a jungle at this point, combining the settings of the first two Crysis titles. Nokia has confirmed a software bug resulting in Wi-Fi connectivity issues on the company's flagship Windows Phone 7 based Lumia 900. Late Tuesday Nokia issued an apology to customers and owned up to its mistake stating that there was an issue with the phone's software -- specifically a memory management issue -- and not an underlying issue with the phones hardware, OS or the AT&T network. This issue is purely in the phone software, and is not related to either phone hardware or the network itself. As a proactive and prudent measure, we decided to take immediate action. We have identified the issue, and have developed a solution. Keep your current phone and you will be able to update your own device with the latest software via Zune on or around Monday, April 16th. As a gesture of good will Nokia is also offering every individual who has already purchased a Nokia Lumia 900 — or who plans to purchase one between now and April 21st – a $100 credit to their AT&T bill. Apple and five publishers have been part of an ongoing DOJ investigation into their practices involving pricing and sales. The DOJ alleges that the companies colluded in anti-competitive practices artificially keeping prices high. Today's charges come as a result of the year-long investigation into the matter after Apple switched to an “agency” model where they retained a portion of the sale of e-books sold through its platforms. This is said to have resulted in higher prices industry-wide, since the power to set prices rested in the hands of only a few sellers. "We allege that executives at the highest levels of the companies included in today's lawsuit -- concerned that e-book sellers had reduced prices -- worked together to eliminate competition among stores selling e-books, ultimately increasing prices for consumers," Attorney General Eric Holder said during a press conference. "As a result of this alleged conspiracy, we believe that consumers paid millions of dollars more for some of the most popular titles." Simon & Schuster, Lagardère SCA’s Hachette Book Group and HarperCollins, whom were originally part of the investigation, settled with the DOJ just prior to the lawsuit being filed. Leaving only Macmillan and Penguin to stand next to Apple in the case. If the settlement is approved by the court, this settlement would resolve the publishers antitrust concerns raised by the DOJ and would require them to grant retailers – such as Amazon and Barnes & Noble – the freedom to reduce the prices of their e-book titles. The settlement also requires the companies to terminate their anti-competitive most-favored-nation agreements with Apple and other e-books retailers. In addition, the companies will be prohibited for two years from placing constraints on retailers’ ability to offer discounts to consumers. They will also be prohibited from conspiring or sharing competitively sensitive information with their competitors for five years. And each is required to implement a strong antitrust compliance program. These steps are appropriate – and essential in ensuring a competitive marketplace. DOJ Press Statement: "Attorney General Eric Holder Speaks at the E-books Press Conference"
ComputerWorld: "DOJ sues Apple, publishers over e-book price-fixing"
BusinessWeek: "US sues Apple, publishers over ebook prices"
ArsTechnica: "16 states join DoJ in suing Apple, e-book publishers over alleged price fixing"
With the iPhone 5, the latest in the series of phenomenally successful iPhone series of mobile handsets from Apple, now widely believed to be in production, rumors are continuing to spread amongst those desperate to find out what features the newest iPhone model will offer users. It is believed that several prototypes for the iPhone are currently circulating within the company, but also that all of these various prototypes include features that mark them out as separate from the 4 and 4S models of the iPhone – including display of 4 inches and more and basic forms that are longer and wider than those of these models. When it comes to the shape of the iPhone 5, while it is set to be larger in general than previous iPhones, but is still set to be a rectangle, rather than the teardrop form that many rumors had led consumers to expect. However in addition to the bigger 4 inch display expected (compared with 3.5 inches on previous iPhones), which will enable Apple to compete with phones produced by rivals such as Samsung in providing users with an experience which is more immersive, the iPhone 5 is set to offer a range of improved features including a better level of display resolution thanks to better density of pixels. This should make the experience of watching films more enjoyable and also improve the quality of photographs and films produced using the phone itself. It is also widely believed that Apple plans to incorporate the LTE high speed network that was included as part of the most recent iPad. This was the first iDevice produced by Apple to have this feature and, given that the company originally wished it to be incorporated into the iPhone 4S before accepting that it would have meant too many compromises with the basic design of the phone, it seems virtually certain that they will wish the iPhone 5 to have this feature. When will we see the iPhone 5? Well that depends on who you choose to believe. According to some reports employees at Foxconn have said the next iPhone will launch in June. Other Foxconn employees have reportedly said the iPhone 5 will launch in September or October. Several analysts have suggested it'll arrive in August or September. When it comes down to it only Apple knows. Maryland Bans Employers From Asking For Passwords Will More States Follow? The Maryland legislature has passed legislation officially banning employers from asking for their employees' for their online passwords and/or usernames. "Prohibiting an employer from requesting or requiring that an employee or applicant disclose any user name, password, or other means for accessing a personal account or service through specified electronic communications devices; prohibiting an employer from taking, or threatening to take, specified disciplinary actions for an employee's refusal to disclose specified password and related information; prohibiting an employee from downloading specified information or data; etc." If signed by the governor, the bill would be become the first social media privacy protection law in the U.S.. The bills come as reports have cropped up of employers asking current and prospective employees to hand over passwords or access to their social media accounts. Several lawmakers have since joined the fret condemning the practice as objectionable and raising concerns over privacy. For its part Facebook has expressed concern and pledged to work with policymakers to address it, as well as engage in legal action where necessary. The question now is will other states follow suit or will we eventually see similar federal legislation? Two U.S. senators, Sen. Charles Schumer, D-New York, and Sen. Richard Blumenthal, D-Connecticut, have said they will ask the Justice Department and the U.S. Equal Employment Opportunity Commission to look into the matter and have proposed the creation of federal legislation. Recently Congress made a failed attempt at adding in an amendment o a larger FCC reform package that would have similarly banned current or prospective employers from requiring workers to hand over personal passwords as a condition of keeping or getting a new job. Clearly we are seeing some progression as lawmakers in New Jersey, Illinois and California are all said to be working on state level bills. With California Democratic state Sen. Leeland Yee filling the most progressive of all bills. Yee filed a bill to block employers from not only requesting social media user names and passwords from employees or job applicants, but also bar bosses from asking for a sit-down with employees or applicants to review their social media pages or asking that the pages be printed out for review by managers. A new application has arrived that aims at helping Mac owners detect and possibly remove the now highly publicized Flashback Mac malware. We first learned of the new tool thanks to Ars Technica. The new tool is the brain child of Juan Leon, a software engineer at Garmin International, the Kansas-based company best known for its GPS devices. The tool automates the steps given by security firm F-Secure and previously described in our post "How To Remove The Mac Flashback Infection." F-Secure's procedure required entering multiple commands in Terminal, the Mac OS X command line utility. The new tool makes it as easy as a single click. When Flashback Checker has finished running the commands it displays "No signs of infection were found" or provides additional information if it does detect changes the malware has made to the infected Mac. Owners of the very popular ASUS Transformer Prime tablet that have been experiencing issues with GPS on their device will be relieved to hear that the company will soon be offering a fix. ASUS has confirmed that despite their attempts at an OTA software fix the Transformer Prime's satellite blindness remains. In a more direct approach at fixing the tablet's GPS reception woes ASUS will be issuing a hardware based fix in the form of a free dongle that "may help improve signal reception and optimize the user experience." New ASUS Transformer Prime owners registering their tablets on ASUS' member site are now being greeted with an application for a GPS Extension Kit. Owners who had previously registered their device might not have been greeted with the same page, nonetheless they will be eligible for the free dongle. Several reports over the weekend indicated that the company will officially announce its plans on April 16th, at which time ASUS will provide all Prime owners with the official link for users to register for their free dongle. According to a series of emails posted by an XDA forums user (the forum post appears to have been deleted), the kit is due to ship in mid-April, and will "be a flush fit on the bottom of the unit if held in landscape, matching the color of your Prime Chassis." If you are a Mac user then by now you should have heard the news that security experts believe that nearly half of all Macs have been infected by a new piece of malware called Mac Flashback trojan. If you haven't then you should take special care when reading this post and make sure you follow all the steps carefully! The Mac Flashback trojan is the latest variant of a piece of malware that originally posed as a Flash Player installer. Instead of downloading and adding in the latest version of Flash the installer instead infected a user computer with a trojan capable of stealing an unsuspecting user personal information. This new variant, Trojan-Downloader:OSX/Flashback.I and Trojan-Downloader:OSX/Flashback.K, targeted an unpatched Java vulnerability within Mac OS X. That was at the time of discovery unpatched by Apple. Apple has since distributed two Java updates that should remedy the vulnerability useless. It is highly recommended that user with Java installed on their Mac install these updates immediately but users should still check to make sure their machine aren't currently infected. Then you're home free and you're not (yet) infected by Flashback.You can feel safe again and comfortably install the latest patches for Java, disable Java completely or live life on the edge and do nothing. If the above shows anything but the intended results then life gets a bit more complicated. You'll need to remove the infection and apply the patches as needed. These removal instructions are from security research firm F-Secure's removal page. Take note of the path. If the filename does not start with a ". ", then you might not be infected with this variant. In addition to these steps, F-Secure recommends checking for another variant of Flashback, Flashback.K. The instructions can be found on another page on F-Secure's website. How do I update Java on my Mac? Now that you are presumably infection free the next step is to update Java on your Mac. Apple has pushed the Java updates to the Software Update channel so you would simply run the standard Mac OSX software update and you should see the patches. You can also manually download the update for Lion and Snow Leopard, respectively, from Apple's support site. If you've followed the above advice and performed these steps to update your system then you're inoculated against the current known version of the Flashback malware, but that doesn't mean the variant won't change again sometime in the future to exploit a different vulnerability on your Mac. This means you need to STAY VIGILANT! Almost all malware needs user interaction to infect your machine but that doesn't mean there isn't a nasty piece of software out there that doesn't. You need to keep your software up to date. Don't just apply operating system patches, apply those third party application updates as well. You should also be open to the idea that your Mac is not as secure as you once thought it was. You might want to grab some security software. You might also want to pay closer attention to your system and how you use it. Don't blindly install files from strange sources, don't click to open those odd emails and definitely don't blindly click to install anything you are sure of or blindly enter your admin password for anything ever! Here at Geek News we love all things geek, so you know we are excited when we see a new show geared at anything tech related. The television network Bravo recently confirmed a new show with the working title of "Silicon Valley" which might just be the next must watch TV show for us geeks! According to Bravo Network's blog posting the new reality show will follow "young professionals on the path to becoming Silicon Valley’s next great success stories." Few details have been released as to what we can really expect. Bravo has confirmed , Randi Zuckerberg the infamous sister of Facebook founder and CEO Mark Zuckerberg, will be the series’ Executive Producer. Zuckerberg, in a statement, says that the show is not all about television drama. "I'm a strong believer in innovation and entrepreneurship and hope that through this series other people will be inspired to build the next breakout companies and technologies." No word yet on when the show will debut or who other casts members could be. It's unclear when the show will actually premier but you can bet we'll be watching when it does. Google and Paramount Pictures have announced a new partnership that will bring hundreds of Paramount's movies to Google Play and YouTube. According to today's blog post over the next few weeks Paramount Pictures will make available for rent nearly 500 new movie titles to YouTube and Google Play users in the U.S. and Canada. Some of the titles users will now be able to rent include Captain America, Hugo, and The Adventures of Tin Tin, Coming to America and The Godfather. Many of these movies are already available, and the rest will be added over the coming months. Most titles will be available for 48 hours once you begin watching, and HD versions of new releases will cost $4.99. Older releases will cost $3.99 for the HD version, and $2.99 for standard definition. With the addition of Paramount's licensing agreement Google now offers for rent more than 9,000 movies from several studios including Sony Pictures, Universal, Walt Disney Studios and Warner Brothers, along with more than 10 indie studios, including Lionsgate Films, Magnolia, Starz, and The Weinstein Company. Thanks to Amazon, Sony PlayStation 3 owners now have another option for streaming videos to their devices, the new Amazon Instant Video app for the Sony PS3 gaming console. Amazon.com. and Sony Computer Entertainment (SCEA) have announced the launch of the new Amazon Instant Video app for the Sony PS3 gaming console. Making the PS3 system the first and only video game console system to offer Amazon Instant Video. The new app will give PS3 owners access to Amazon's library of 120,000 streaming TV shows and movies available for purchase or rental. For PS3 owners who happen to be Amazon Prime members you will now have the option of watching your free Prime Instant Videos on your PS3 system as well. Customers can access Amazon Instant Video on their PlayStation 3 system by installing the Amazon Instant Video app directly from the TV/Video Services category on the XMB (XrossMediaBar). The Amazon Instant Video app can also be found in the PlayStation Store, under the Media & Apps category. Instant streaming of nearly 25,000 high-definition movies and TV shows that start and resume in just seconds. New smart lists such as Recently Watched, Next Episode and Personal Recommendations. These lists appear on the home screen of the PS3 system app and update dynamically based on what customers watch and buy. They make it easy for customers to find the next thing they want to watch - start watching an episode where they left off, watch the next episode in a series and introduce them to new TV shows and movies that they will love. Whispersync lets customers seamlessly switch from one device to another. Start streaming a movie on Kindle Fire, then pick up right where you left off on your PS3 system - avoid the frustration of having to find your spot. Your Video Library gives customers access to purchases from Amazon Instant Video on the PlayStation 3 system or any of the hundreds of other devices enabled for Amazon Instant Video. 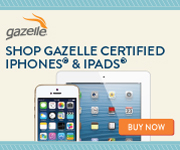 For a list of compatible devices click here. For more information on how to get started visit, www.amazon.com/instantvideo/ps3. Trends are suggesting that now more than ever people are opting to cut the cords from their traditional telephone services in favor of mobile phones or VoIP devices. By way of its well advertised TV commercials, magicJack is likely one of the best-known USB VoIP devices on the market today. 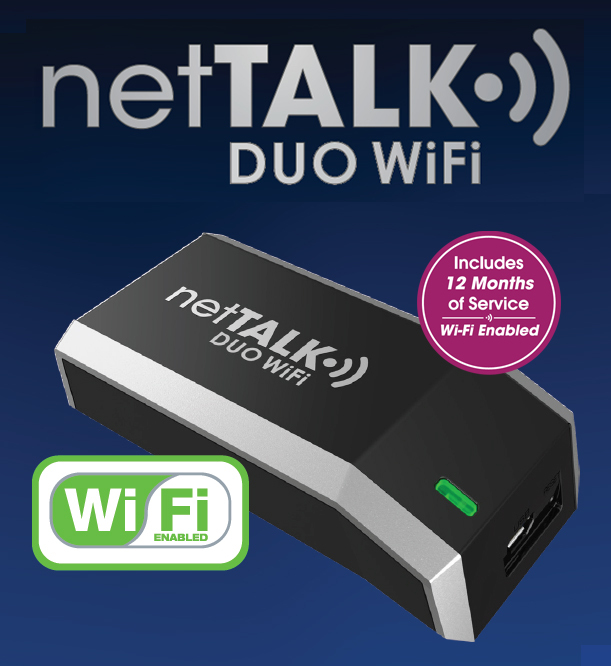 However there are several alternatives including one we previously reviewed, the netTalk Duo. Looking to step-up its game a little further neTalk recently introduced the new netTalk Duo WiFi. Similar to the netTALK DUO the new netTALK DUO WiFi allows a user to use a traditional handset to make telephone calls (even international calls) through their current internet connection. Much like the DUO the new DUO WiFi allows a user to establish a connection without the need of a computer as it has the option to connect directly to your router via RJ-45 network connections and now thanks to the addition of WiFi support you can connect directly to any existing WiFi network wirelessly. Just like our review of the netTALK DUO setup via wired Ethernet port really is just as simple as plug and play. You shouldn't need to open any ports on your firewall or make any changes at all. Plug the adapter into one of the open ports on your router, wait a few minutes for the blinking orange light to turn green and your device should be ready to go. All you need to do then is log onto the NetTalk site and register the device and you'll be ready to make phone calls. If you choose to connect the adapter to your PC you'll need to do download the USB drivers. Once downloaded and installed you connect the device and again wait for it to sync and the lights to turn green. Once you register your device you should be up and running and you should be ready to go. For wireless setup you will need a PC in order to make the needed changes and select the appropriate wireless network! Update 4/04/2012: Following our initial review we received a bit of tech support that helped us get the ball rolling. For starters I should note that the instruction we were given were "pre-release" and are still being revised, so they weren't entirely accurate. NetTalk has since sent us the latest netTalk Duo WiFi FAQ's (PDF) which gave us more accurate instructions. They have also updated the installer for the WiFi management tool to include the USB drivers. With these new drivers we were able to get almost everything working correctly. We still can't use WPA2 encryption but we did get WPA working. Since the Duo WiFi still isn't widely available and netTalk is still working on the kinks we will continue to update our post and work on getting everything running smoothly. So please check back often as we'll have more details to follow! Wireless setup for us wasn't working well. I'm not sure if it was the security settings on our Linksys E4200, the Duo WiFi or a combination of both but we ran into nothing but issues. To make things worse the early draft of the setup instructions we were given gave us some information I'm not sure was accurate. For starters the rough draft of the instructions we received detailed setting up the adapter via USB. When we tried this we could not get the device to sync to the netTalk servers at all! Either the Duo WiFi management tool doesn't have the needed drivers or there was a step missing in the rough draft that we couldn't find. We tried downloading and installing the older drivers and not even that worked. So we went ahead and followed the instructions given one the Duo WiFi Management page. This involved connecting directly to the router and running the WiFi tools, which still wasn't working well. The netTALK DUO WiFi did not automatically detect any networks in the area (even though there are several), so we had to go through the manual setup process. Even though I entered all the correct information, SSID and password, upon attempting to reconnect via wireless the adapter wouldn't connect. It wasn't until I turned security off on our router that we were able to get it to sync up correctly. I tried a few different settings on the router and a few on the DUO WiFi and still we couldn't get things to work right. This might be a case of user error, a setting we are simply overlooking or something else. At this point we really aren't certain. The netTALK service hasn't changed much, if any at all since our previous review so I'm not going to spend much time here. The call quality even on the few international calls I've made was quite good. There was no echoing or background noise, nothing noticeable that would make you think you were on anything but a standard land line. With the netTalk service I've never experienced issues with dropped or missed calls and with the netTalk Duo WiFi I never noticed issues with dropping connectivity. For features nothing has changed except for the addition of WiFi of course! So you can expect all your basic services like: Caller ID, call waiting, 411 directory assistance, Enhanced 911 and voice-mail. The device is also fax friendly for those that still need that option. The netTALK DUO WiFi will be priced at $64.95 and will be available in 1,600-plus Target stores across the country starting in early April.